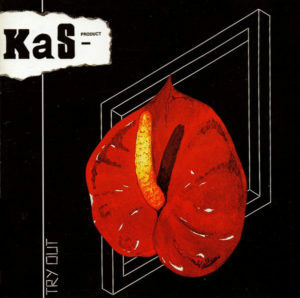 KaS Product were a French coldwave duo from Nancy by way of Strasbourg, formed in 1980 by French musician Spatsz (aka Daniel Favre) on electronics and Mona Soyoc, a jazz singer from the United States on vocal duties, piano, and guitar. 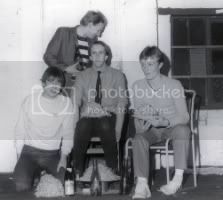 The band formed in 1980, were signed to RCA for a brief period, released a series of singles and three seminal electronic/coldwave records, and split neatly in 1990, though the band has recently reunited for a series of live performances in Europe. Other scattered sources claim Rowland S. Howard of Birthday Party and These Immortal Souls fame occasionally collaborated with the band in a live setting. KaS Product’s sound is more tense, abrasive, and synth-driven than their contemporaries (akin to the likes of Suicide or Soft Cell’s darker material), partially due to Spatsz’s interest in classic analog synthetics and abrasive textures, the tension in their music seemingly a result of his working stint in a psychiatric ward. Meanwhile, a trickle of Mona’s jazz upbringing creeps into the band’s style, creating a rather unique hybrid of sharp melodies and icy electronics. Though all four of their records make for solid listening, I’ve uploaded their debut album, 1982’s Try Out. DOWNLOAD LINK REMOVED- both Try Out and By Pass have been reissued on CD/LP and digitally via iTunes. Feel free to update your copies! You can also visit the band at their official website. Happy holidays, ladies and gentlemen! See you folks in a week’s time. I believe I’ll stick to French coldwave classics for the remainder of this week, just in time for the holidays! Today’s post features Trisomie 21, an on again-off again act consisting of brothers Philippe and Hervé Lomprez. 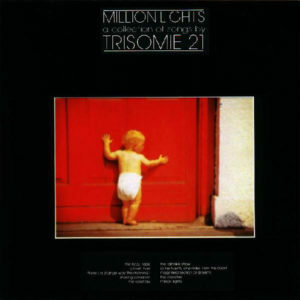 The band formed in the early 1980s and takes its name from the condition known as trisomy 21, an chromosome imbalance that causes down syndrome. Though the band is still active to this day, I’ve always preferred their earlier wave material- especially their first two records, which have been previously uploaded by curious guy of Phoenix Hairpins. They can be found here, and here, and an early EP can also be downloaded here. However, it would be amiss not to mention their 1987 record Million Lights among their more classic material, though they pursued a more distinctive coldwave sound during this era, with slight EBM leanings (released on Play it Again Sam, mind you). 3. There’s A Strange Way This Morning? For your viewing pleasure, here’s the video for Trisomie 21’s best known tune- ‘The Last Song,’ which is featured on their 1986 record, Chapter IV. For more info on the band, including a comprehensive discography, videos, pictures, and some exclusive recordings, click below for the band’s webhub. 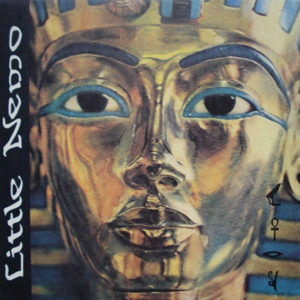 Little Nemo were among the best of the French coldwave acts, akin to the likes of Asylum Party and Trisomie 21, and unfortunately, just like the majority of their peers, they never quite broke outside of their homeland. 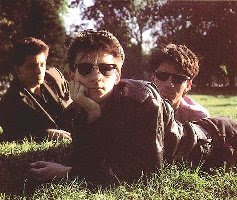 However, the band earned a cult following after signing with Lively Art, a label notorious for releasing top-shelf coldwave records. The band formed in 1983 and split in 1992 after several classic singles and three full length records. Their earlier material was more visceral and dark, while their pop-song sensibilities and interest in electric music evolved over the years. Upon their disbanding, vocalist Olivier Champeau took on the pseudonym Doctorolive to persue a more techno/house infused direction. I’ve uploaded their 1990 Cadavres Exquis single- which includes three solid cuts, a cover of a classic Wire tune, and a synth-based instrumental to close. 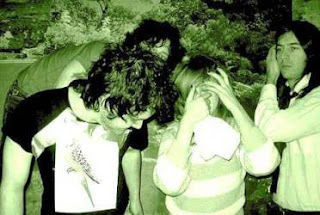 I’m unable to scrape up a ton of information about today’s band, Sheffield wave act Naughtiest Girl Was a Monitor, though this oddball synth single is a real gem. More on the bombastic side, Naughtiest Girl Was a Monitor released but three 7” recordings before calling it quits. As a bit of trivia, the band would lend equipment to budding brit-pop act Pulp, enabling them to cut their first recordings. I’ve uploaded the entirety of the band’s 1981 Front 7” for your listening pleasure, which features two full-length wave tunes and closes with an instrumental. 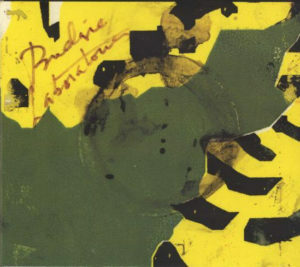 It seems as if the band’s output has been compiled on to one s/t disc, featuring a series of demo recordings alongside all three of their 7” singles. Seems as if it’s only available on vinyl, through Vinyl On Demand. Snap it up if you dig it! Today’s act is UK based avant-garde musician Spöön Fazer. 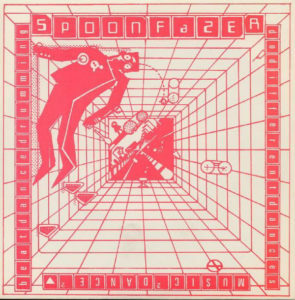 Spöön Fazer was formed in 1978 as a solo venture for drummer Simon Patterson, who earned his nickname from his work in previous outfit The Whippets From Nowhere (a.k.a. 39 Steppes in later incarnations). 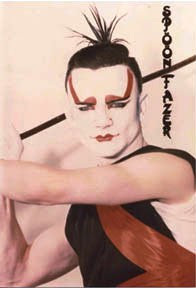 As Spöön Fazer, Simon would release a handful of singles, an EP, and a cassette-only recording, all exploring the avant-garde side of a budding wave scene. His calling card was a series of synth drums, drummed on heavily with sets of spoons. On record, two previous members of the Whippets joined Simon on bass, guitars, and backing vocals. As Simon’s career progressed, he developed a heavy interest in Japanese rhythms and instrumentation, which would manifest in Spoon Fazer’s last recordings. Though Spöön Fazer’s discography is minute (and tough to pin down exactly what exists), Simon has since been involved in several working projects, as both a contributor and a remixer. I’ve uploaded all three tracks from Spöön Fazer’s Music For Life 7”, also occasionally referred to as the ‘Do Different Dances’ single. I believe this release was combined with another 7” to form the more widely known Music 2 Live 2 = Music 4 Life single. Here’s a handful of useful links on Spöön Fazer. The first looks to be an official site (though I can’t seem to get it loaded fully- but it could just be me) and the second, an interview with Simon Patterson from a Spöön Fazer fansite. 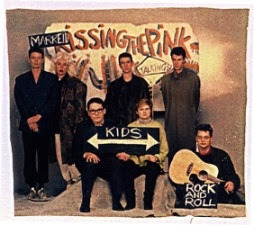 Formed in 1980, Kissing the Pink was a short lived UK new wave/synth act who flirted with hometown chart success throughout their tenure. The seven piece act (with most members contributing vocals) shortened their name to KTP in their latter days as a result of the name’s suggestive nature. 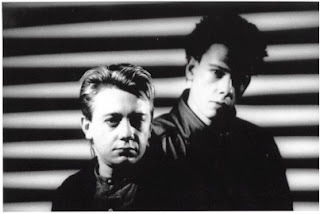 Their style was a hybrid mix of funk and synthesizers, akin to the likes of Factory records bands A Certain Ratio and Section 25. Longtime Factory associate Martin Hannett also produced the band’s first single for ‘Don’t Hide in the Shadows’ in 1981. Since then, the band has released four full length LPs, each seemingly the result of a more trimmed down lineup and a more dance oriented sound. Also, members of Kissing the Pink have also collaborated with various artists in the jazz, pop, and psychedelic mediums. The band is still considered active, with select members still working together, though few recordings have surfaced. A home page states that the band may be morphing into a different project, but not other conclusive information is scarce. 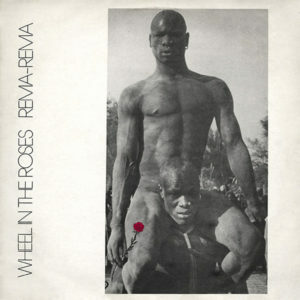 I’ve uploaded the entirety of their debut full length, the seminal wave record Naked, released in 1983. The leadoff track ‘The Last Film’ cracked the British top 20 upon its initial release. I believe there is a CD reissue of Naked available, but it’s since sold out and is fetching high prices in the secondary market. Let me know if there’s an official outlet and I’ll be happy to remove the link as per usual.